Our product range includes a wide range of industrial bearings. 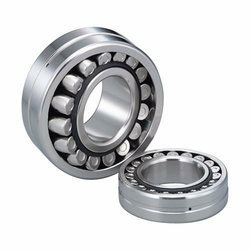 We are instrumental in providing our clients with a comprehensive range of Industrial Bearings. Offered roller guide table is precisely designed to provide a high accuracy linear guiding mechanism for various applications such as optical instruments, office automation equipment, and peripherals, measuring instruments. Before delivering this roller guide table to clients, we make sure that it is precisely tested by our quality inspector on set quality parameters to ensure its flawless nature. Proposed roller guide table can be availed from us in several designs and specifications as per at competitive prices.